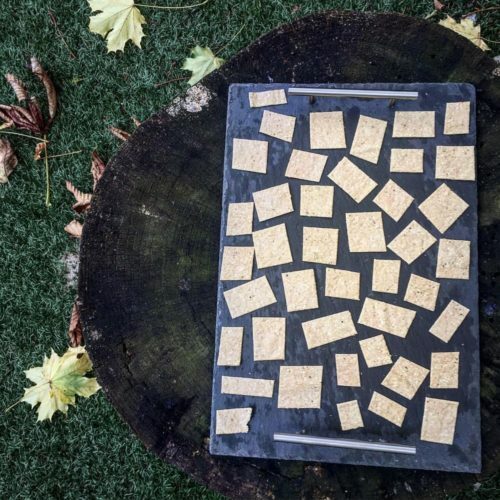 These crackers are full of healthy fat. You should always eat a healthy fat with each meal and snack. Sesame seeds are a plant source of calcium which is good for bone health. They are a nice ‘grab and go’ snack that don’t have to be refrigerated. Almonds help control your blood sugar levels as well as your blood pressure!